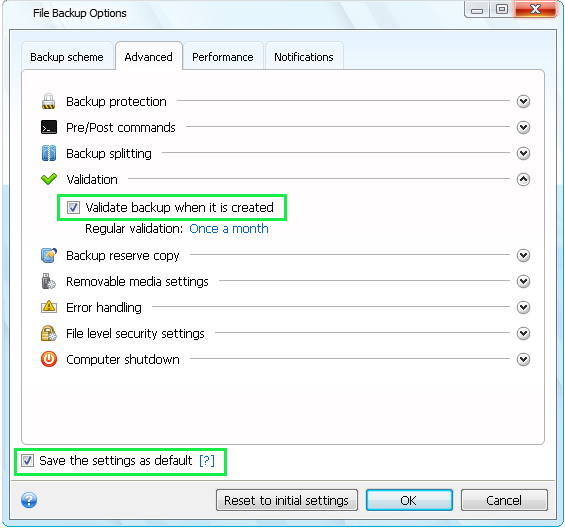 When you create another backup task later, Validate backup when it is created option is not selected. This is an issue in the product. This has been fixed and the fix is available in the latest official build. See Installation of the latest update of an Acronis product. The Save the setting as default works in the latest build.